With the spray bottle you can spray your favourite cleaning product onto the surface to be cleaned, while the microfibre cloth provided removes even the most stubborn dirt. Spray your favourite cleaning product and wash the window with the cloth supplied before passing the Forzaspira window cleaner. 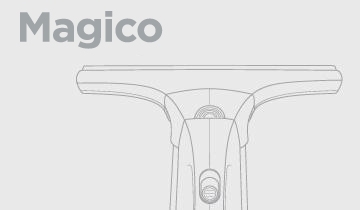 compatible with Magico window cleaner series AG.